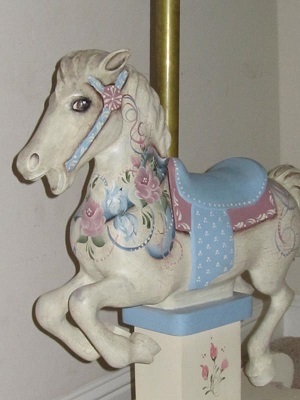 The asking price is due to wear from normal use of the rocking horse (there are no defects and details are clearly visible in the images). 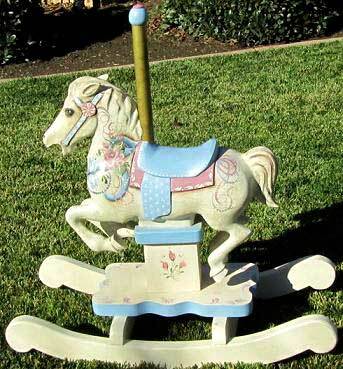 This rocking horse still looks, rocks and rides just fine! It takes up residence near San Luis Obispo, CA or Davis, CA - perhaps you can come pick it up and save $400. 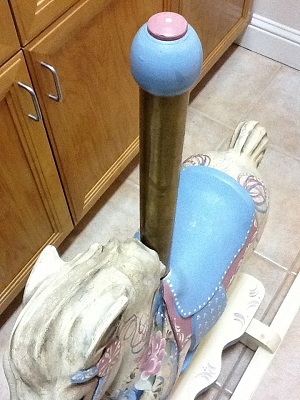 This lovely heirloom rocking horse was gifted to our daughter by her grandmother who is a recognized artist in Arizona. 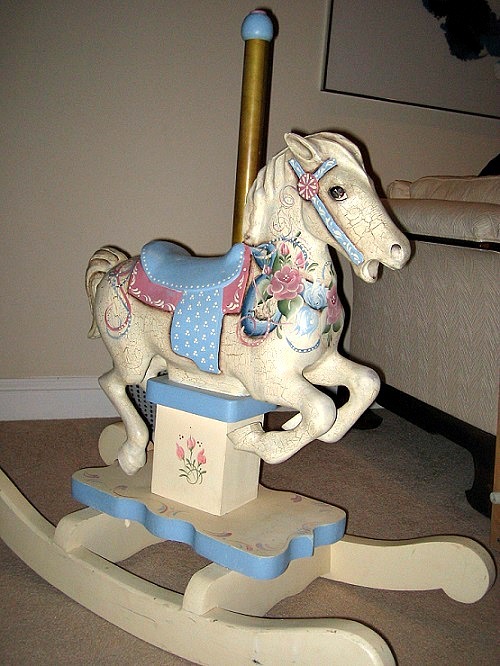 The rocking horse has been proudly displayed and gently used for 20 years. 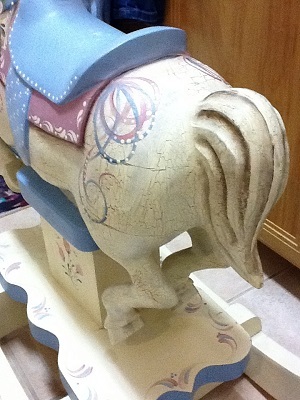 The horse is beautifully painted and demonstrates fine craftsmanship in both carving and painting. Our daughter will now graduate from Cal Poly San Luis Obispo California, and we decided to allow another young family to enjoy this wonderful child's rocking horse. It is a true work of art that will continue to hold it's value for years to come. "There are no children to play with here anymore - I feel lonely."